From the pictures in the gallery Vivre Tap-Tap I have decided to set up this video, I hope you like it!!! Last Friday January 14th appeared on Catalonia TV a summary of Vivre le Tap-Tap Exhibition in the Canonge Cafè (Ampans). You can see it by entering the link between 17:45 and 19 minutes. The show will be at Café del Canonge (Ampans) until 28 February next. 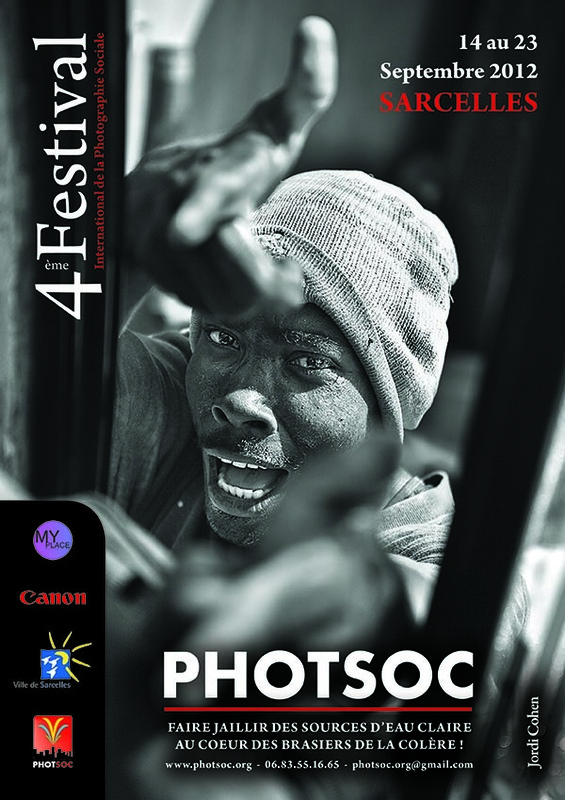 Having gone through Mexico and Perpignan and have participated in the biennial photography Olot, until 28 February will be open in Manresa a Jordi photographic exhibition about dailylife in Haiti before the earthquake. 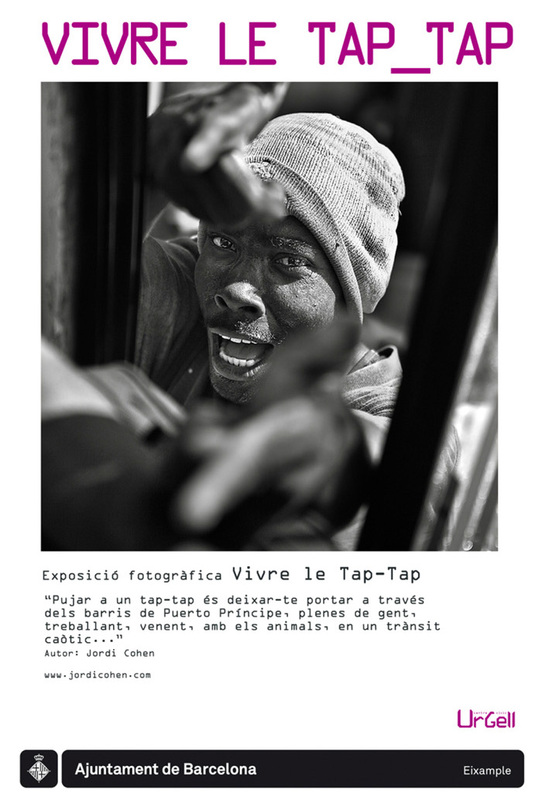 Entitled Vivre le Tap-Tap, this exhibition consists of fourteen images in black and white that has received several awards and mentions, fill the walls of Café del Canonge. 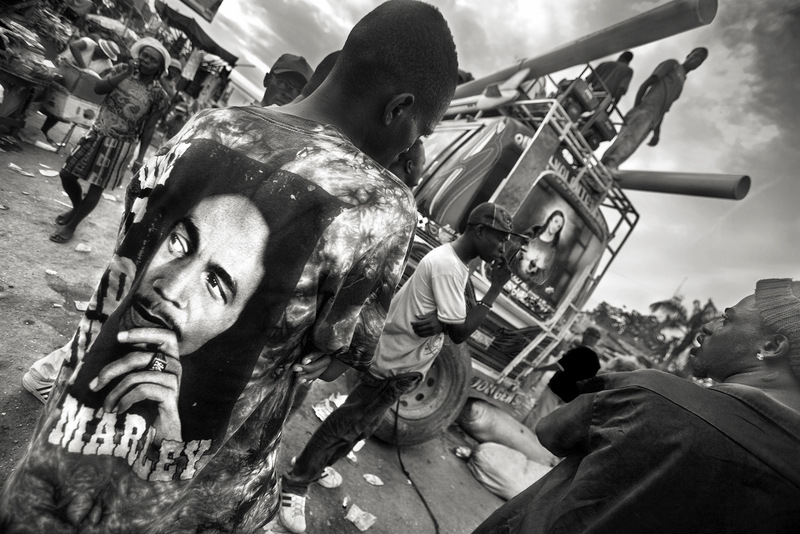 Cohen declares a self-taught photographer and was born in Manresa, now lives in Barcelona. After graduating in Medicine, has worked for over fifteen years in the health sector and has traveled everywhere. Friday, the author was in the capital of Bages, from Madrid to present the exhibition. Also attended the ceremony Councilman Javier Rubio, Ampans Director, Toni Espinal, and Santi Vidal from Cruz Roja (Red Cross). It is no coincidence that this exhibition has been opened just now, when it meets a year of the earthquake that devastated Port-au-Prince. 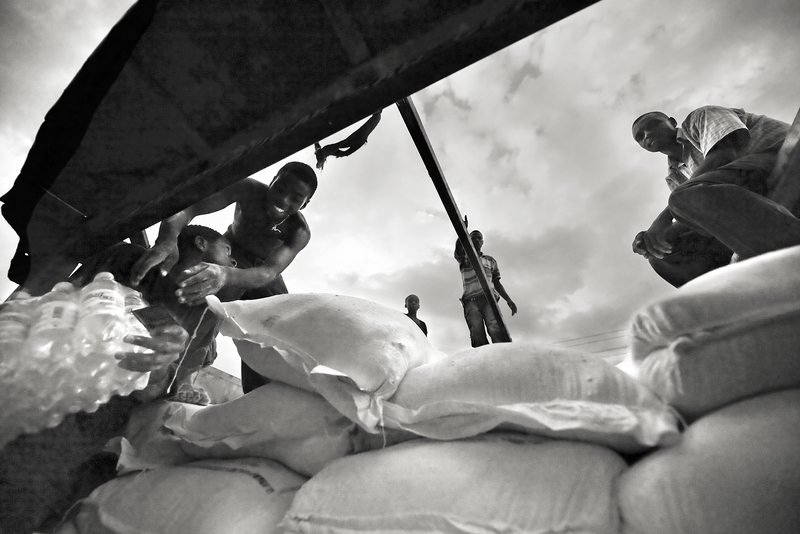 With this background, the exhibition will serve to raise funds that will go to Haiti through the Red Cross projects and Platform Manresa Solidarity with Haiti, through the sale of reproductions of the photographs on displa at A5 size that can be purchased for 2 euros. 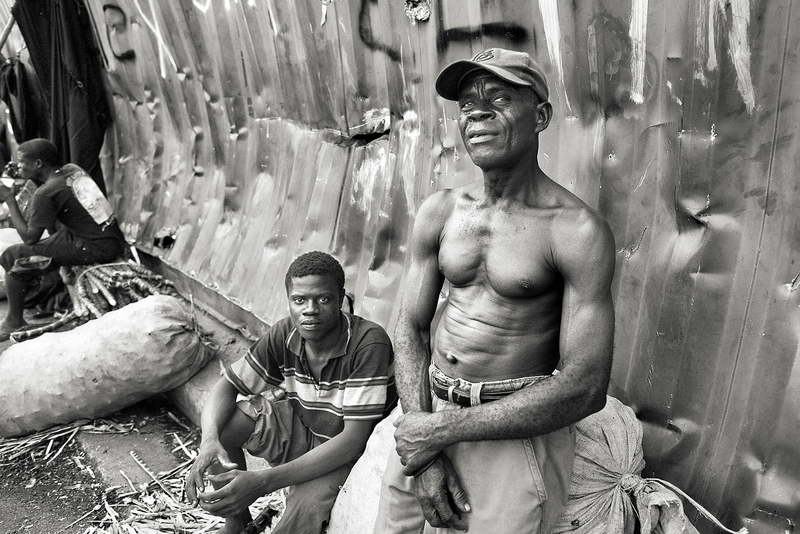 Vivre le tap-tap tells stories of everyday Haitians in Port-au-Prince through the means of transport used in the capital, the Tap-Tap. The name comes from the sound of the vehicle to twice the plate (Tap-Tap), which are essential for the driver stopped.The testimony of Jordi Cohen collects photographic snapshots taken from the window of the vehicle from outside and from within “without realizing that people do not.” There are also portraits or images that revolve around this means of transport, such as a drug dealer near the station of the Tap-Tap. 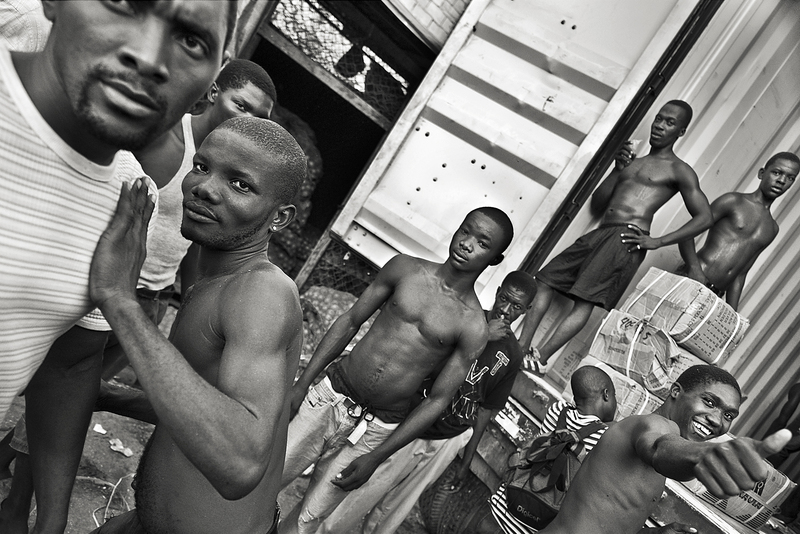 Although Jordi Cohen has twice been to Haiti, the images can be seen at Cafè dle Canonge belong to his first trip in 2006. Two years later come back. Organized by Ampans, having been exhibited in Paris, Perpignan, Mexico City and at the Biennale of Olot, will present the project Vivre Tap-Tap in Manresa, in Cafè del Canonge (Passatge Canonge Montanyà, 2 – Manresa). It gives me pride to present this work in the city where I was born. The inauguration will take place on 14th January at 21pm. L'Apuntador de Manresa, Gener de 2011.